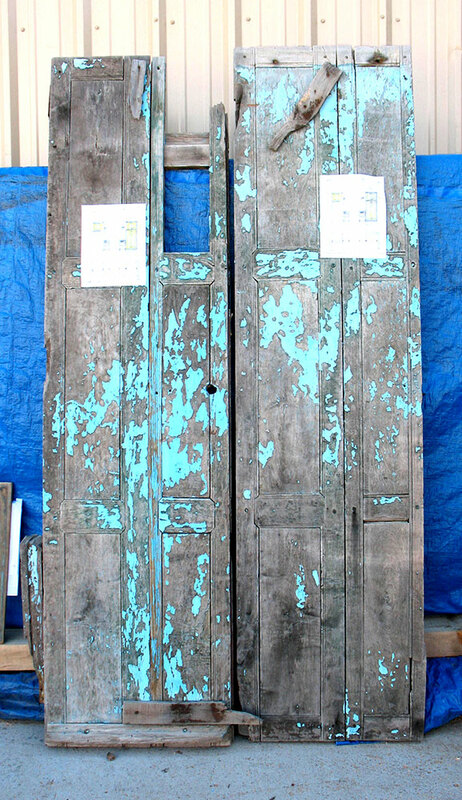 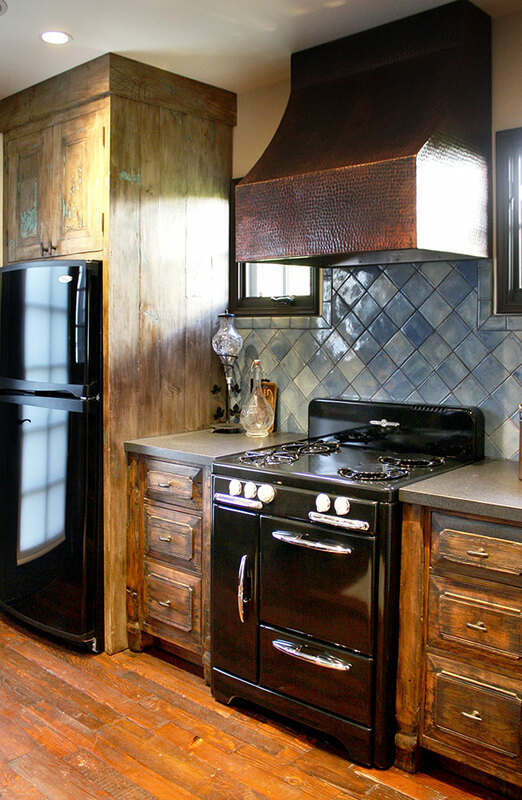 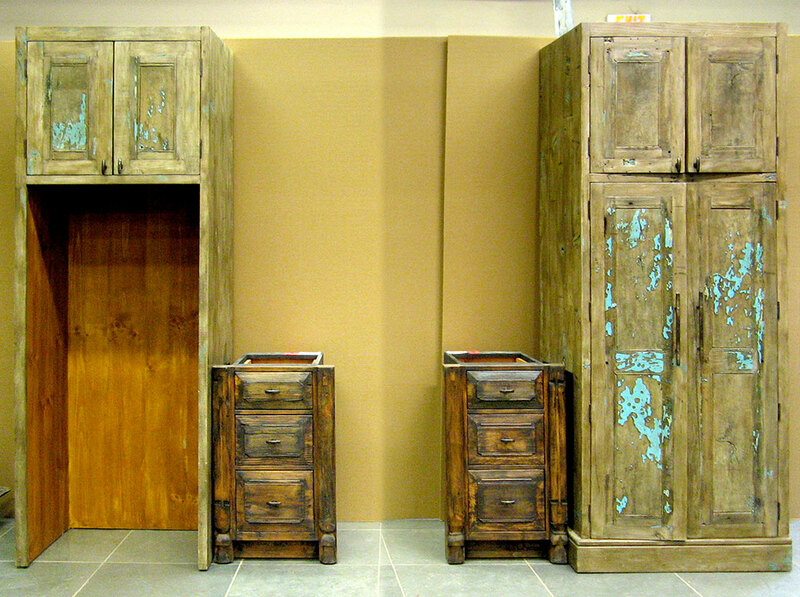 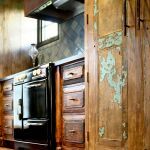 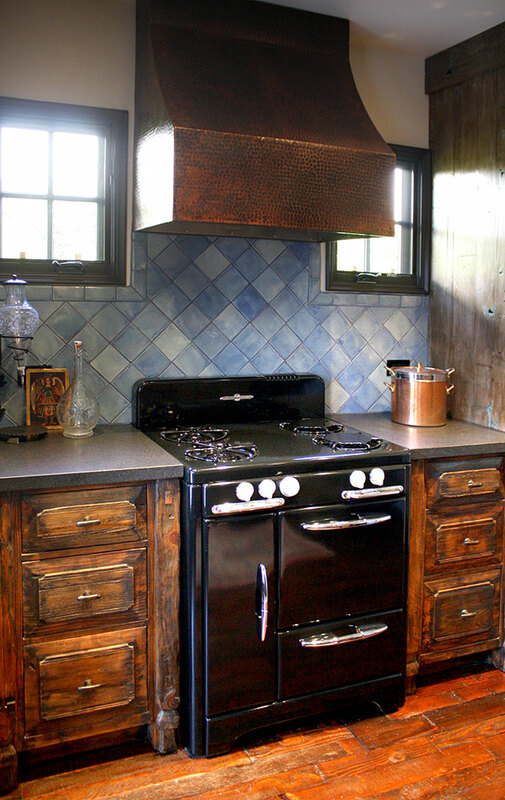 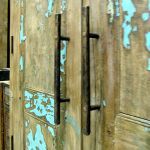 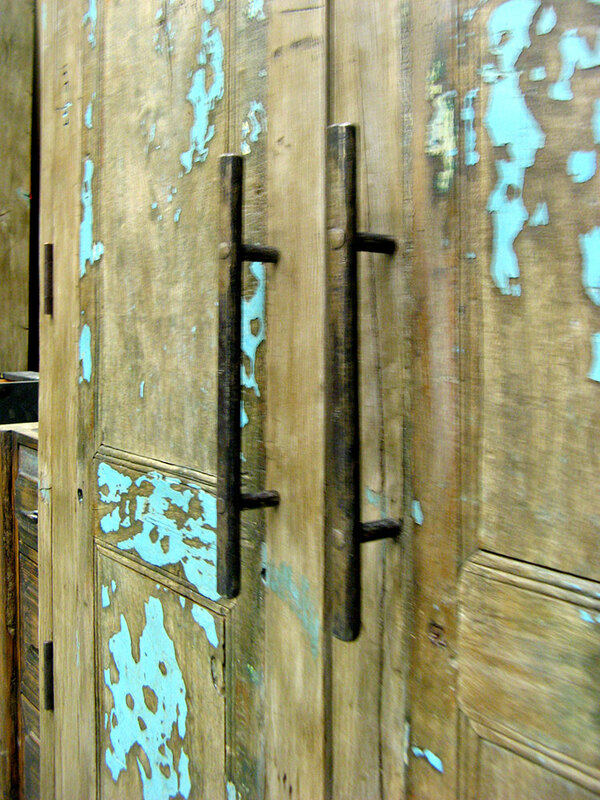 These custom kitchen cabinets were crafted using antique woods, antique doors, salvaged lumber and antique carved panels. 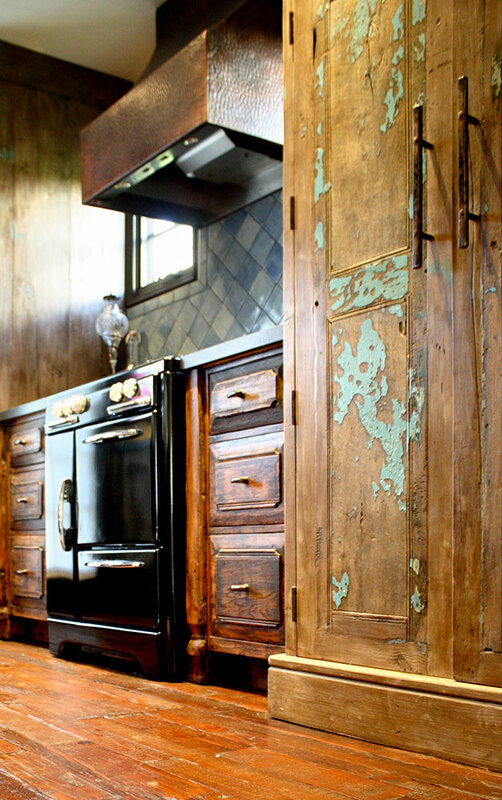 The different finishes used in these cabinets contribute to the antique quality of this kitchen. 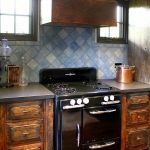 Rather than a homogenous kitchen set, the feel is that of chosen pieces of furniture resulting in a gravitational center of the house that is a warm and comfortable retreat. 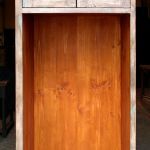 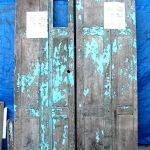 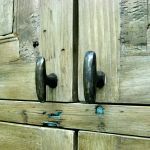 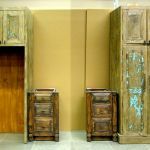 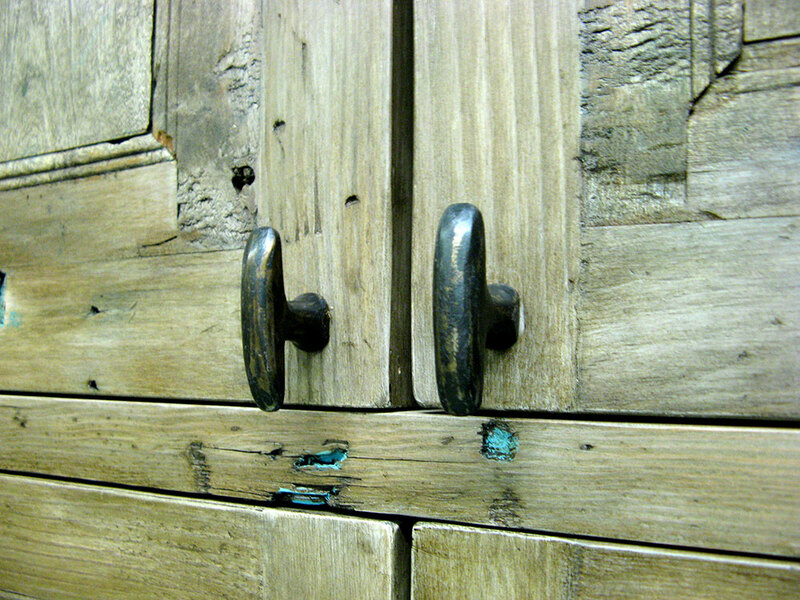 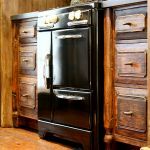 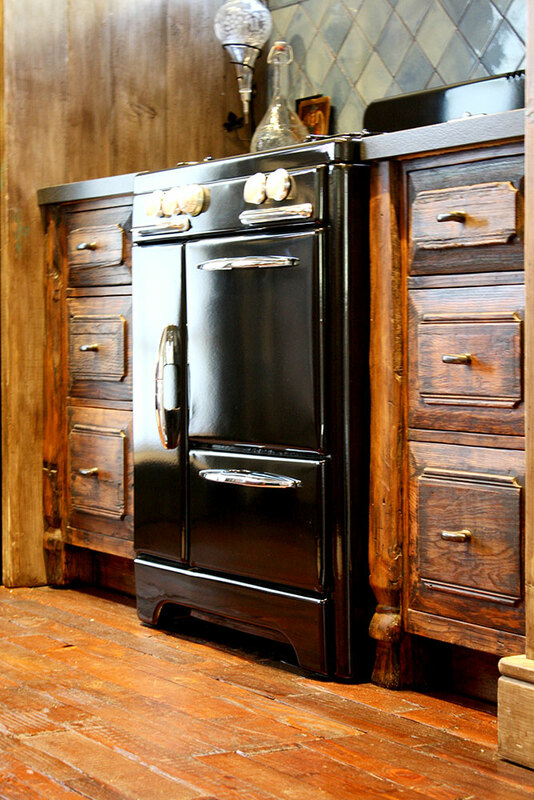 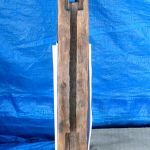 Additional photos show the antique doors used to make the pantry cabinet, one of the antique dowry chest legs used in the stove cabinets, and different views of the completed and installed cabinetry.